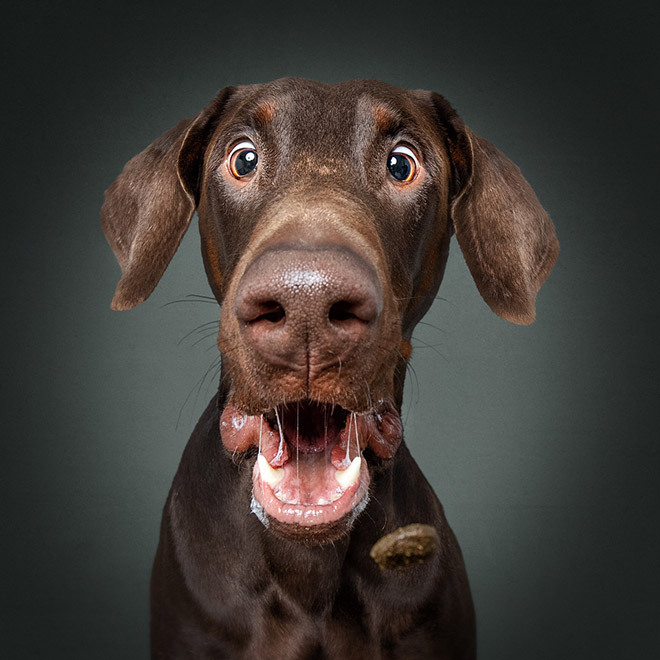 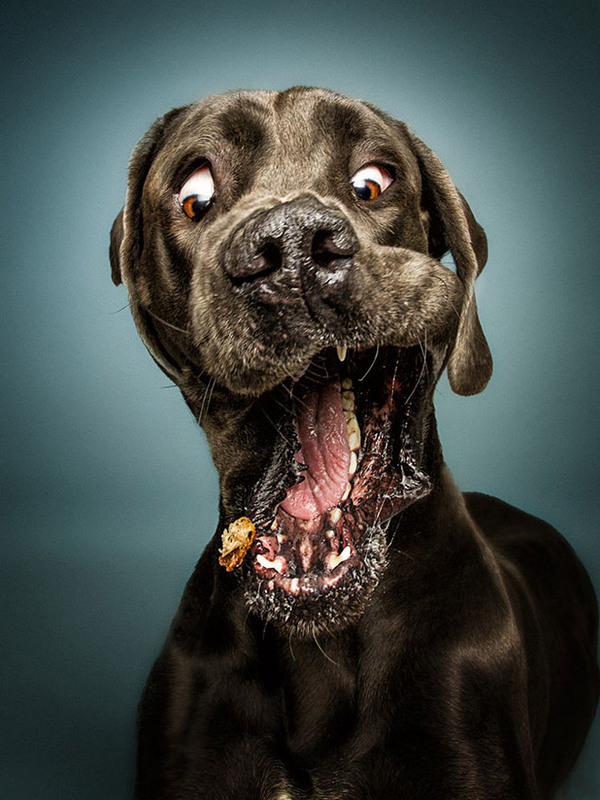 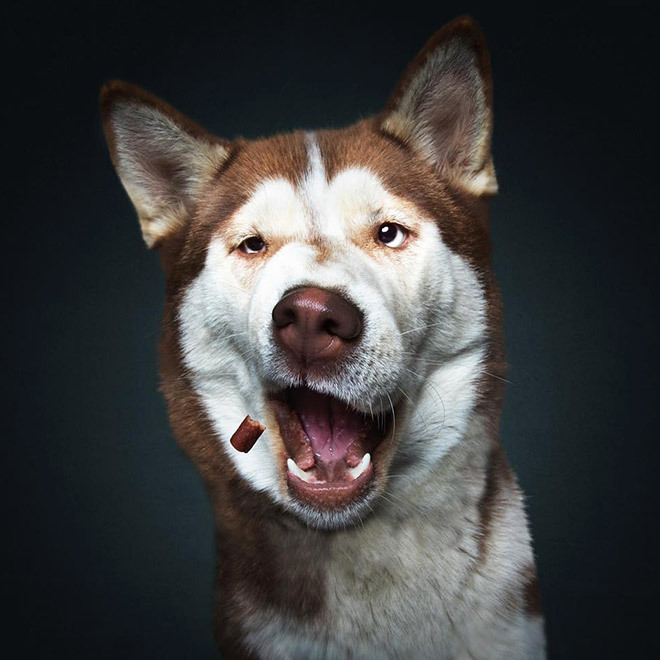 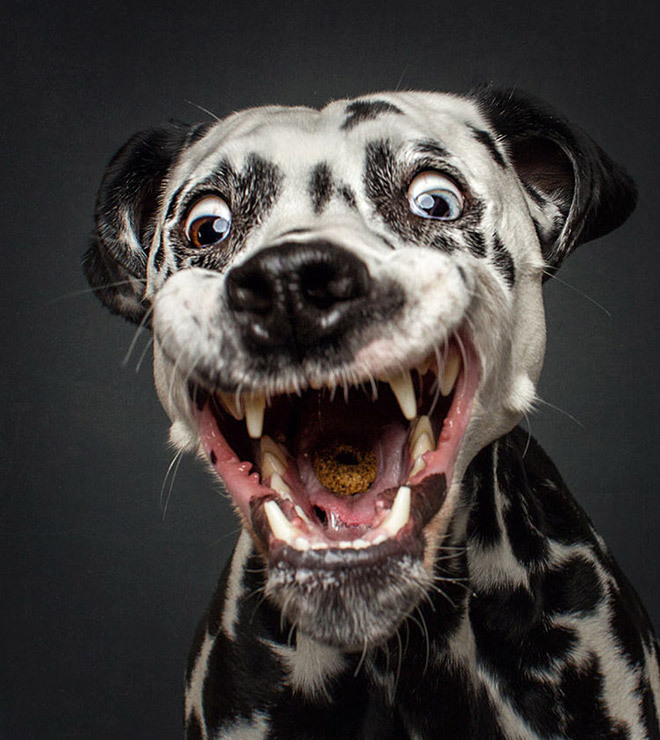 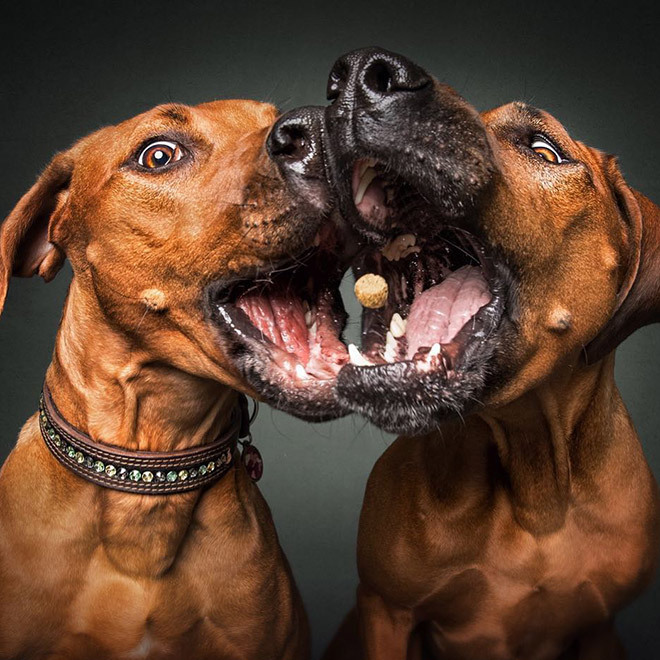 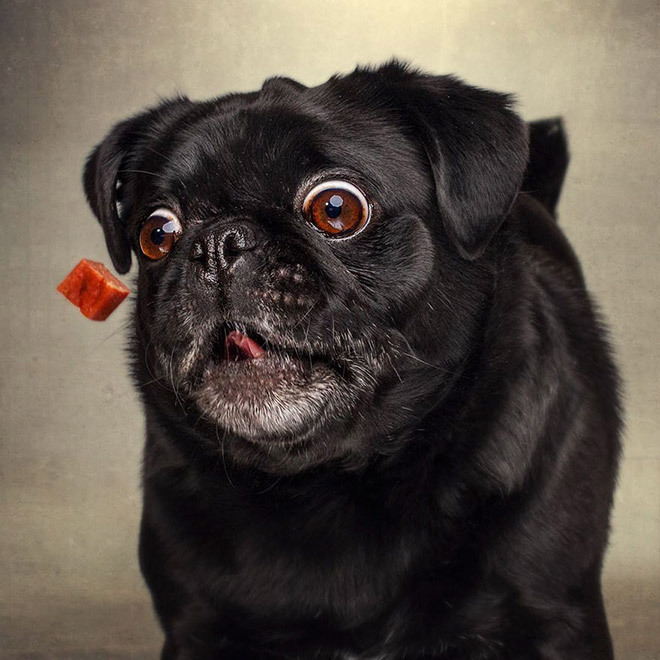 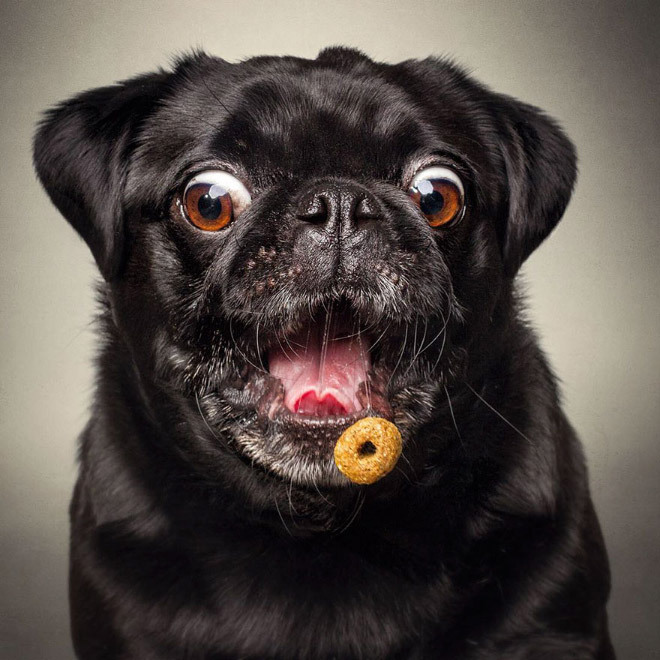 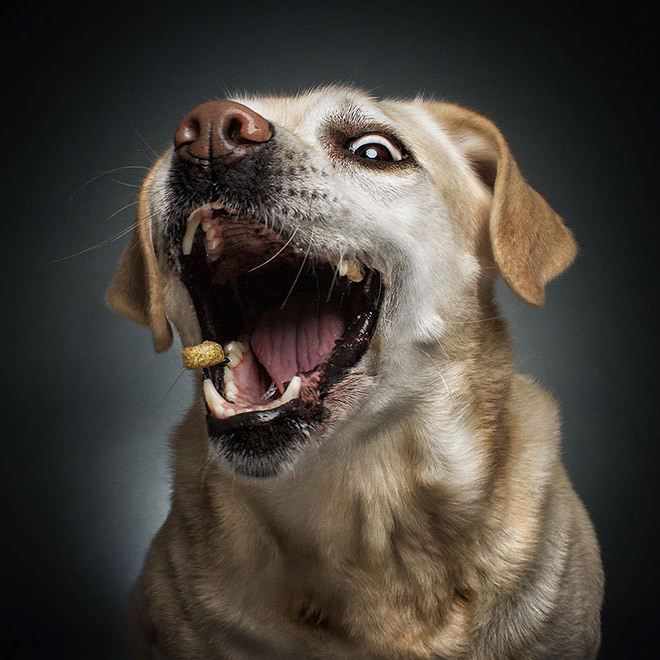 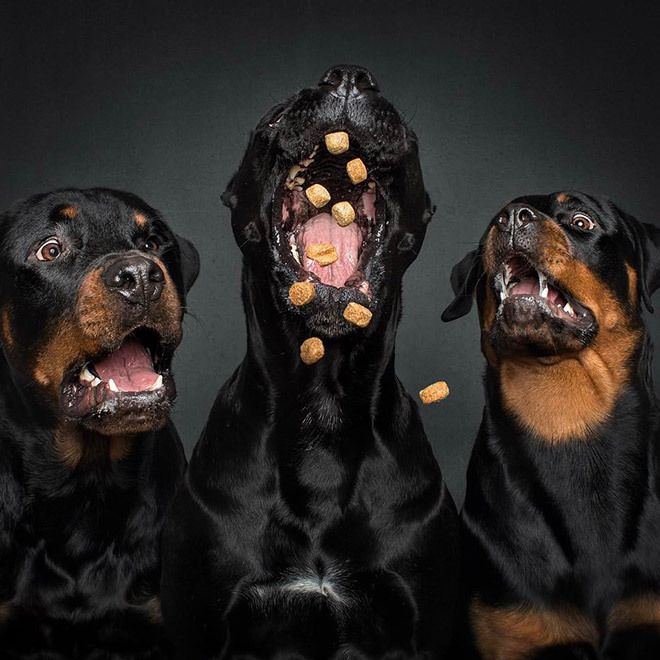 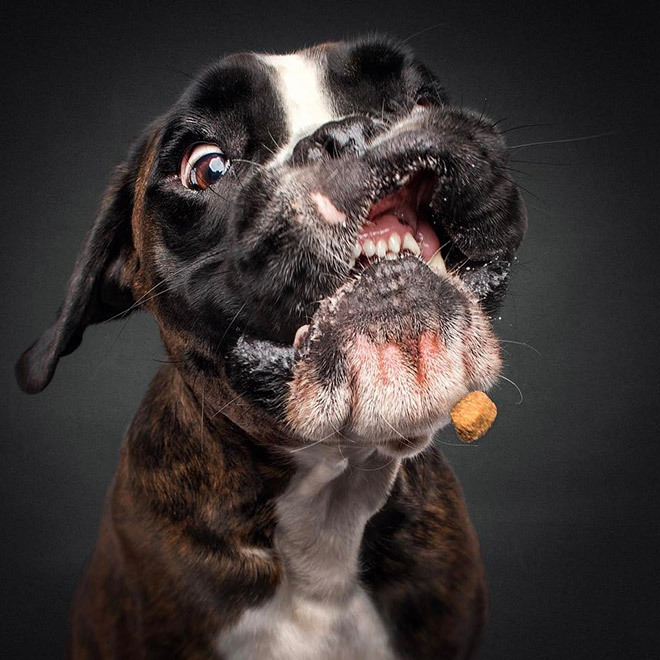 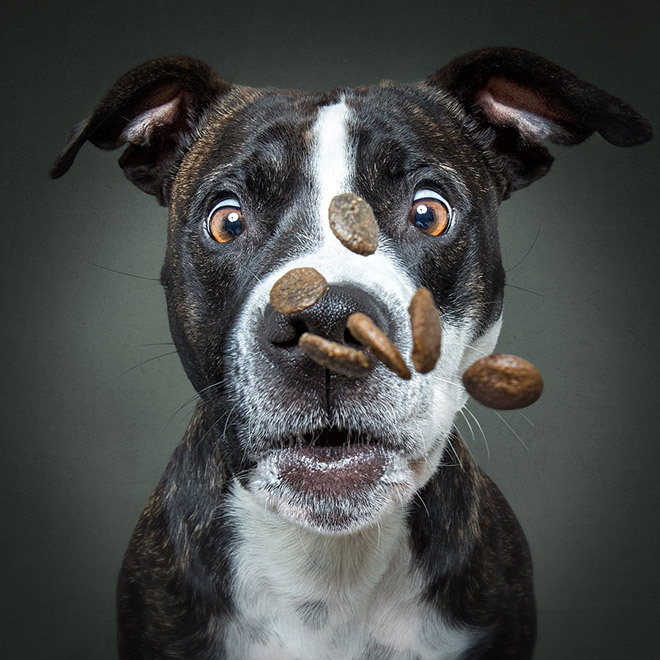 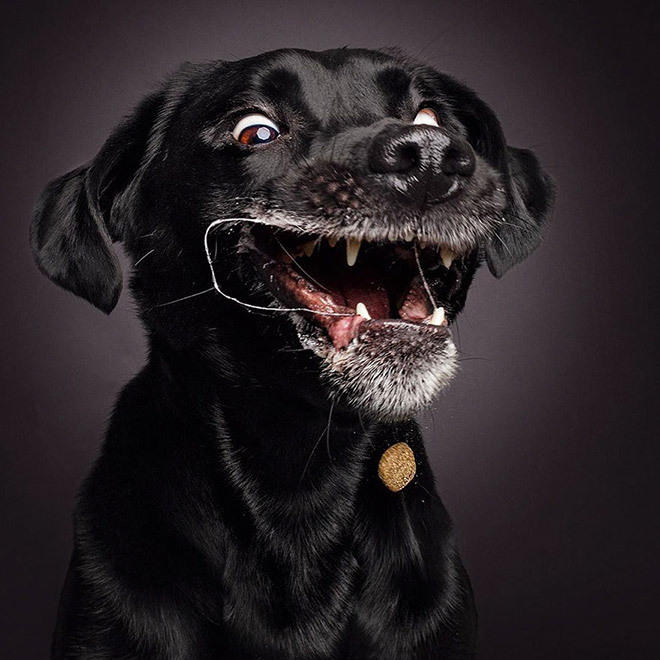 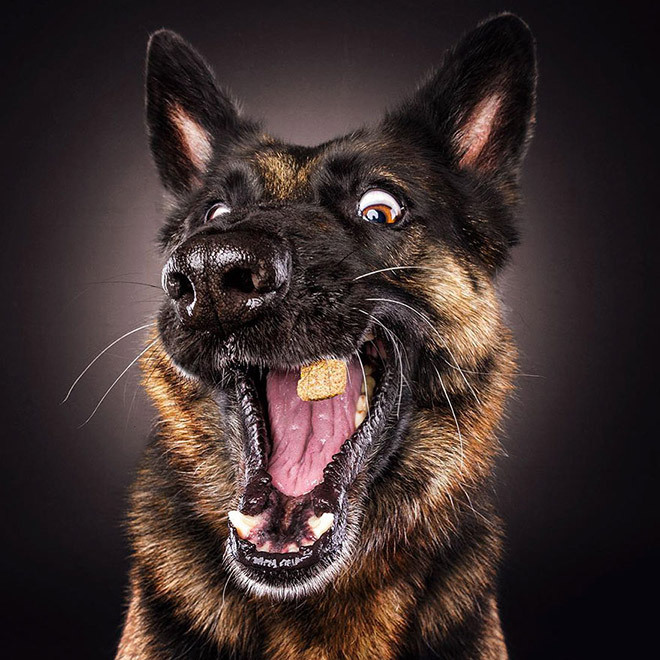 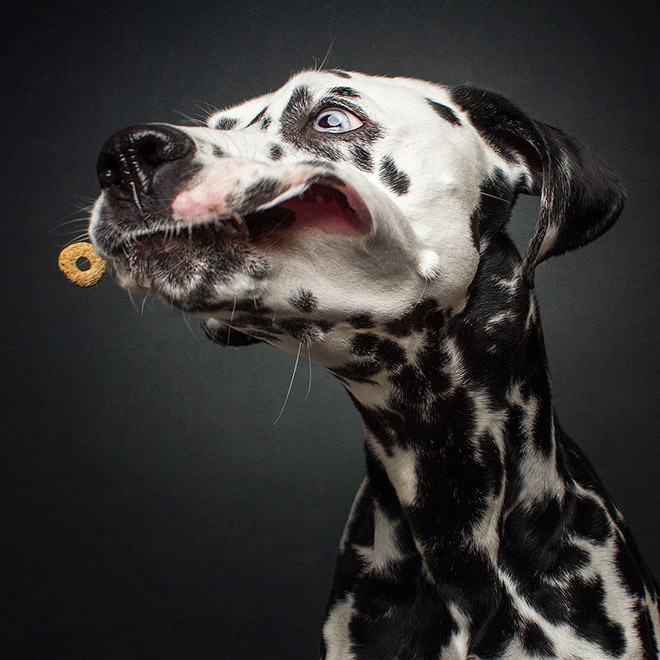 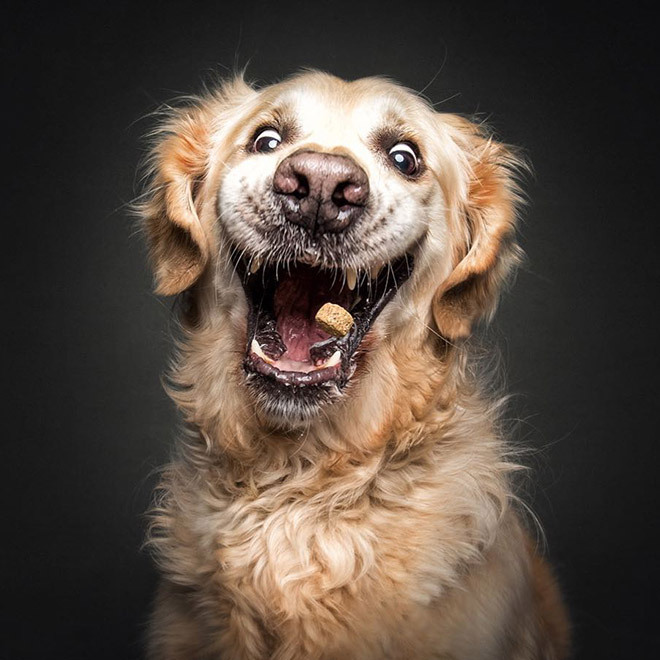 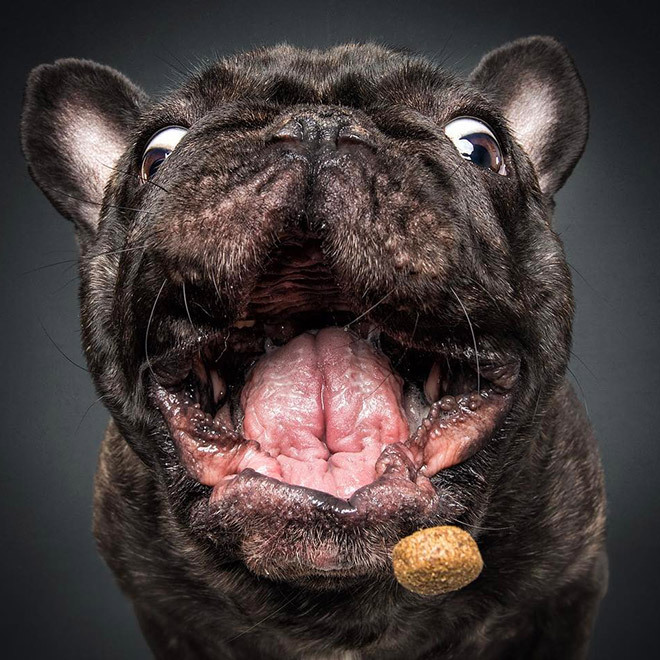 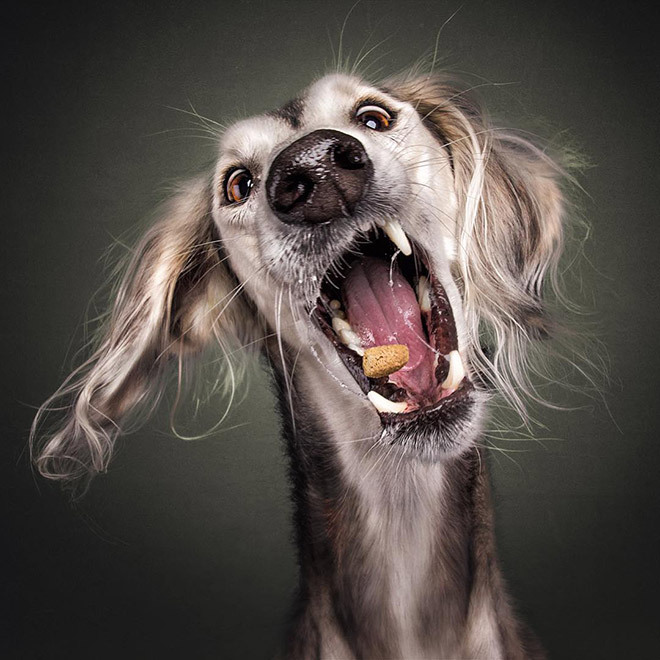 German photographer Christian Vieler takes hilarious photos of dogs trying to catch food, capturing their facial expressions: such emotions as excitement, confusion, or surprise. 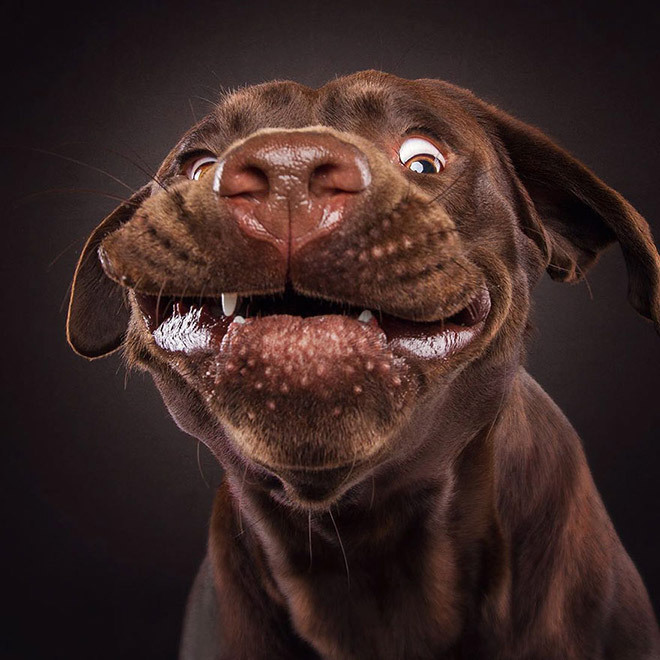 The shots bring out the unique personalities of each dog, as we can clearly read the emotions etched over their wonderfully dopey faces. 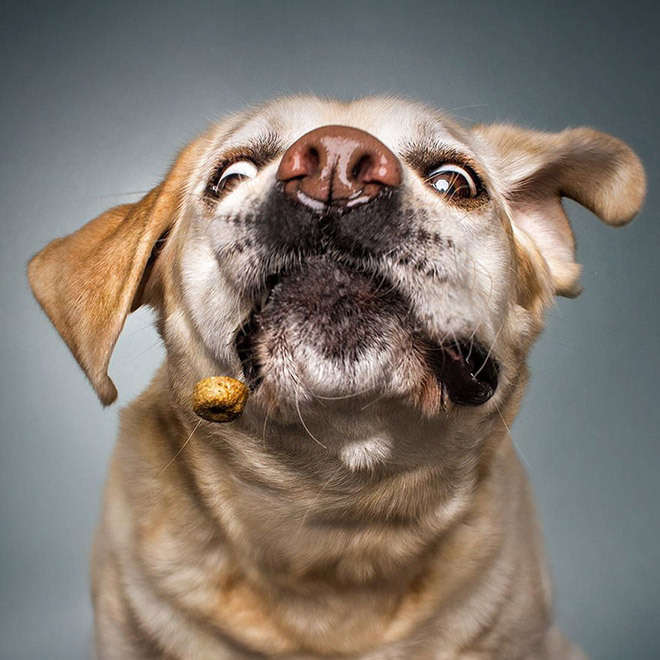 Featured below are some of the best examples, but full collection is available in a book you can get on Amazon. 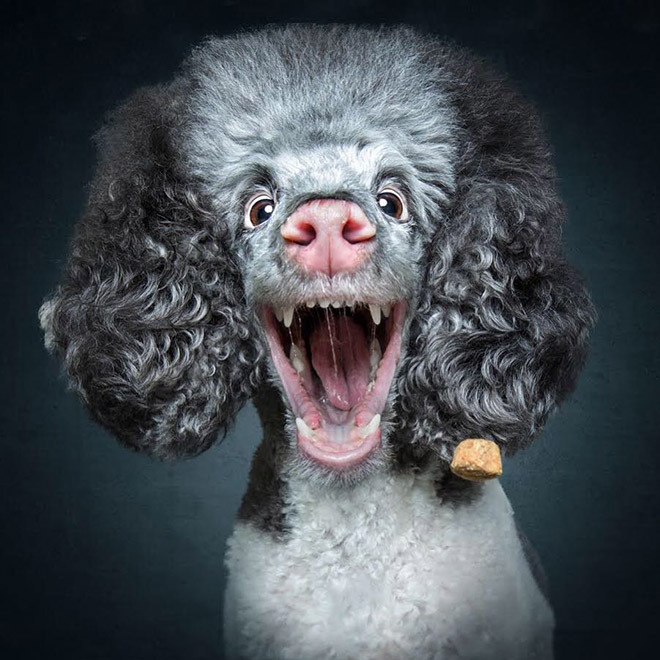 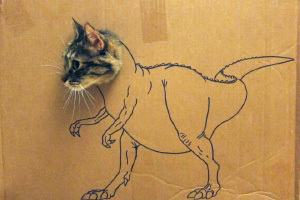 If you enjoyed this gallery, you will also like NYC Subway Dogs In Bags, Dogs Failing at Hide-And-Seek, and Hilarious Dog Tweets.